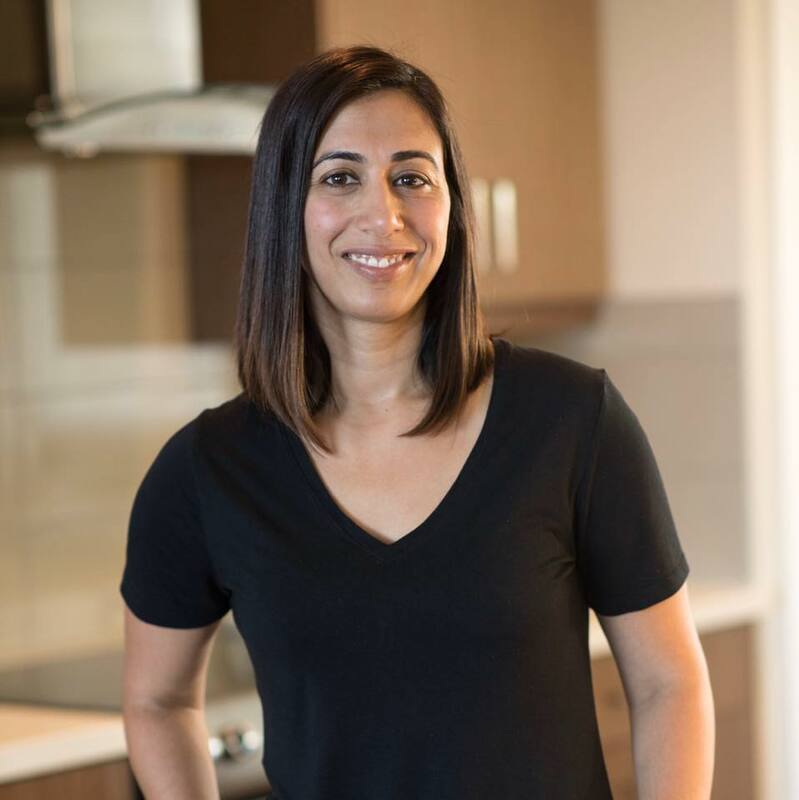 My kids love chocolate and I definitely have a sweet tooth myself. 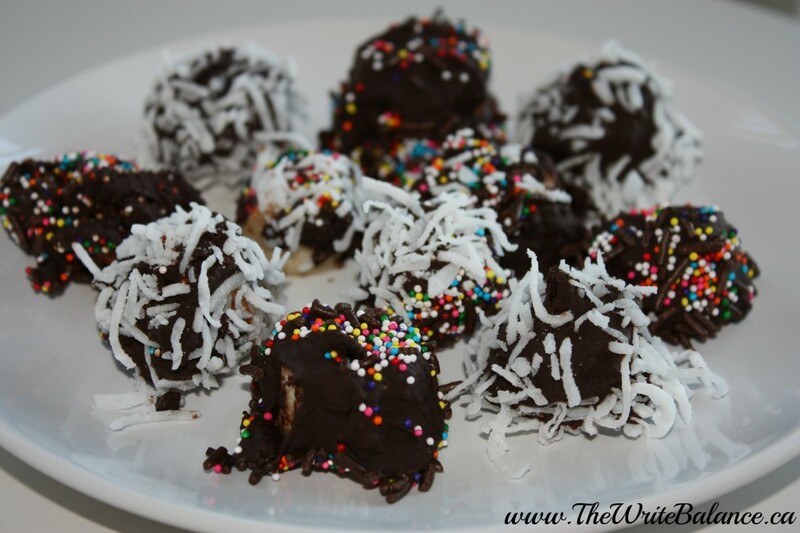 For that reason I try and make healthy treats that’ll satisfy that sweet tooth. A favourite in our house are these Frozen Yogurt Drops. 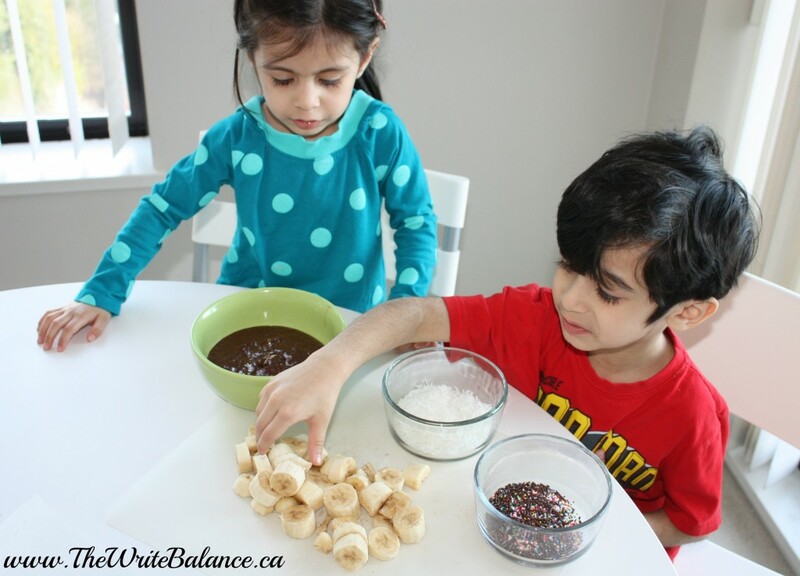 Recently we tried out a new recipe that is really simple and that the kids can help prepare, Frozen Chocolate Covered Bananas. 1. 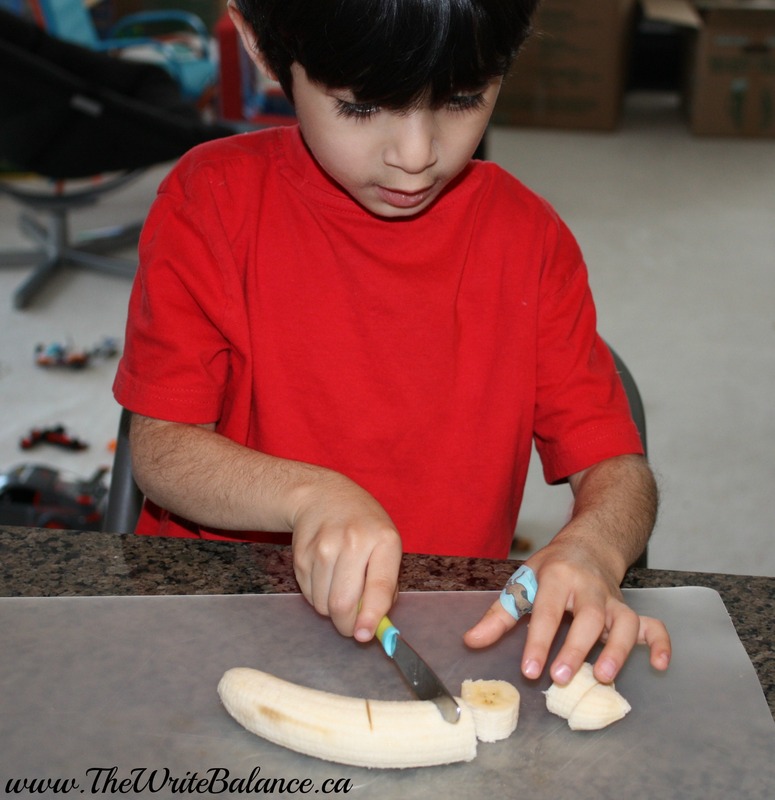 Give your toddler a kids knife that has no blade and let him slice the bananas. 2. In the meanwhile, you can melt the chocolate either on the stovetop or the microwave. 3. Then set up your sliced bananas, melted chocolate and toppings in a row. 4. 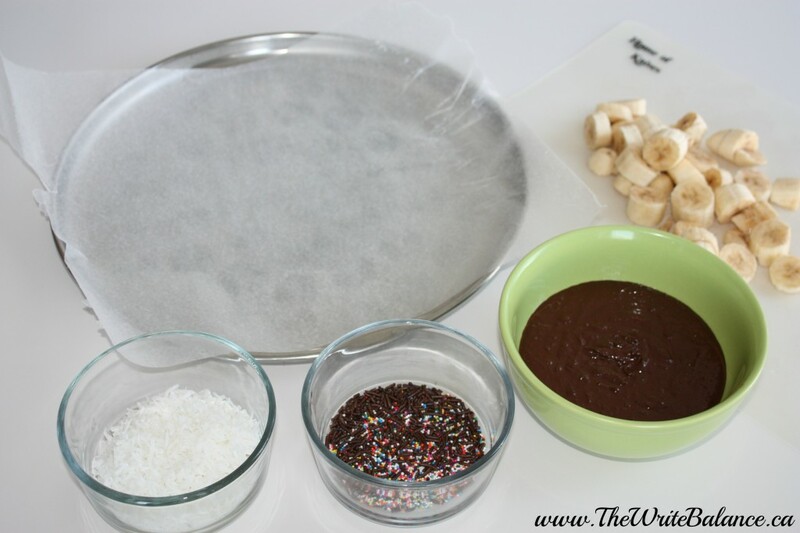 Dip the banana slices into the melted chocolate, into the toppings and then put them on the tray with the parchment paper. You can also use a fork or skewer to help with the dipping process. 5. Once all the bananas are covered and in the tray, put them in the freezer for 30mins-1hour. 6. Then take out of the freezer and enjoy! They are Agi! And so easy. 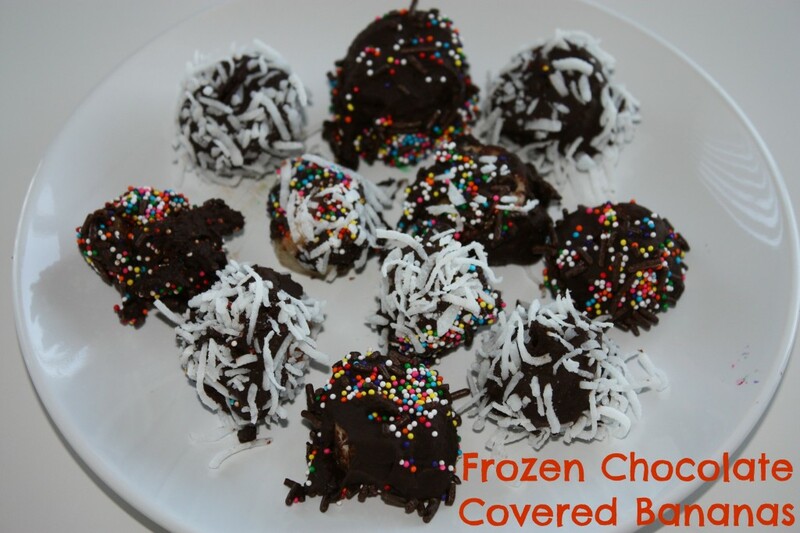 Oh these look super good- we will try this as our dessert on the weekend!